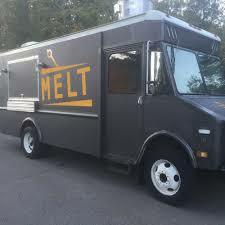 Melt is slinging around food so good, it’ll make you melt. This food truck is committed to serving the best eats on the streets, pairing the freshest quality ingredients with all original recipes to tantalize your tastebuds and make you feel all the feels. At least if you happen to be foodies like us. If not, you’ll become one after eating here. At Melt, they’ve crafted a full bodied menu built to satisfy. Esteemed chefs John Wadkins and Jason Fiset left the restaurant scene in order to pursue their culinary dreams: bringing their made from scratch delicious cuisine straight to the people. Here, you’re getting melts and poutine on a whole new level of delicious with the inclusion of gourmet ingredients. From their take on a cubano with brown mustard and swiss cheese to BBQ pulled pork topped with their signature horse radish slaw, there’s a world of flavor ready for you to explore.